A fisheries research vessel operated by the South Carolina Department of Natural Resources, was recently repowered by Volvo Penta. R/V Palmetto, a fisheries research vessel operated by the South Carolina Department of Natural Resources, received a pair of new Volvo Penta engines during an overhaul. Photo by Ryan Collins. 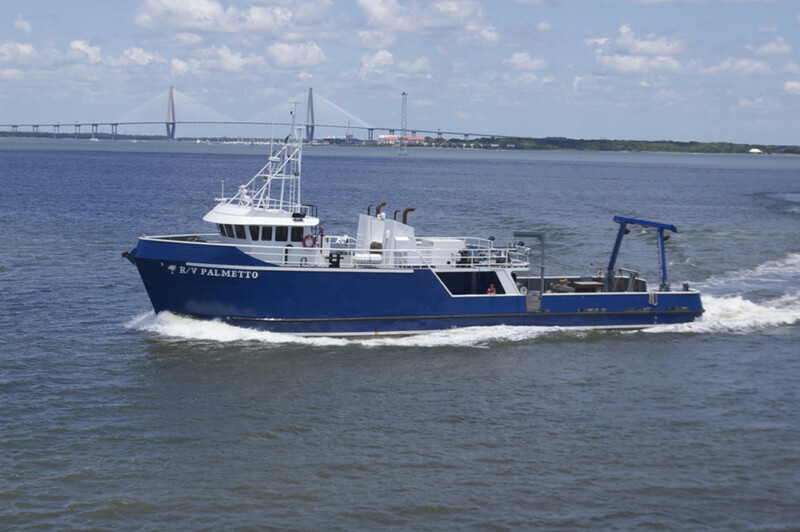 R/V Palmetto, a fisheries research vessel operated by the South Carolina Department of Natural Resources, was recently repowered with new eco-friendly fuel-efficient engines from Volvo Penta. The vessel underwent a major overhaul at the Metal Trades shipyard near Charleston, S.C., and was put back into service in July. 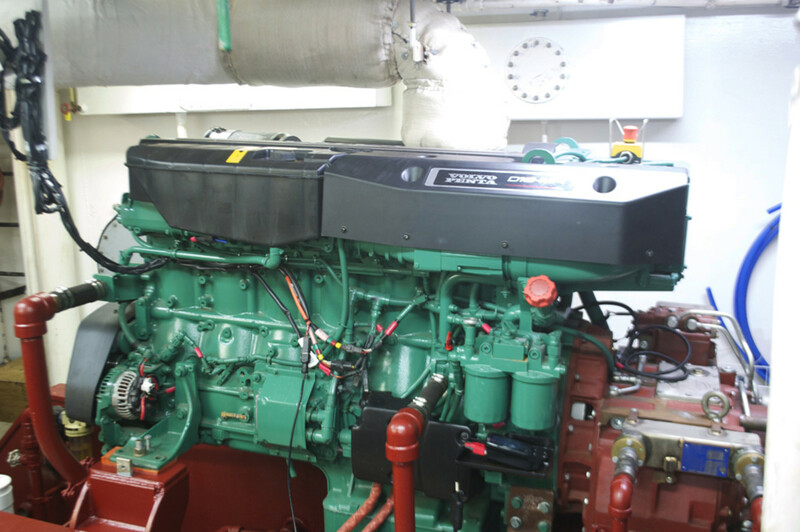 As part of the overhaul, the original 1980s-era diesels were replaced by a pair of new Volvo Penta D16 MH600 Tier 3 engines with ZF W650 gears. The installation also included state-of-the-art electronic controls and a seven-inch display screen in the wheelhouse. Superior Diesel, Volvo Penta’s authorized Power Center in Charleston, oversaw the repower project and will be responsible for maintenance and round-the-clock service for the engines. Superior Diesel sales manager Jim Reed said in a statement that a major factor in the selection of Volvo Penta engines in the competitive tender process was the size of the engines, especially the height. The original 1980s-era diesels on Palmetto were replaced by a pair of new Volvo Penta D16 MH600 Tier 3 engines with ZF W650 gears. Photo by Ryan Collins. Originally built in 1982 as an offshore supply vessel for the Gulf Coast oil industry, Palmetto was acquired by the South Carolina agency in 1987 and converted for its new role as a fisheries management vessel. The 110-foot vessel conducts fishery and oceanographic surveys from Cape Hatteras to Palm Beach and offshore to 100 miles. The ship carries a crew of five and as many as nine scientists. “Since the repower with Volvo Penta, the vessel has trimmed its fuel consumption by at least 45 percent, burning 40 gph at cruising speed.” Reed said.